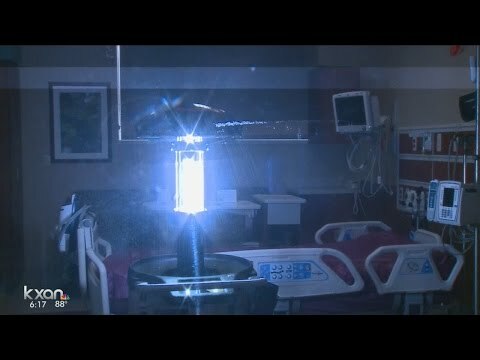 The Center for Disease Control reports that 100,000 Americans die each year from infections, called “super bugs”, that they catch in the hospitals. Fortunately, there is now a new germ exterminator robot that will revolutionize medical centers. We tell you more. These figures remain same despite increased efforts being made ​​to clean and disinfect them. 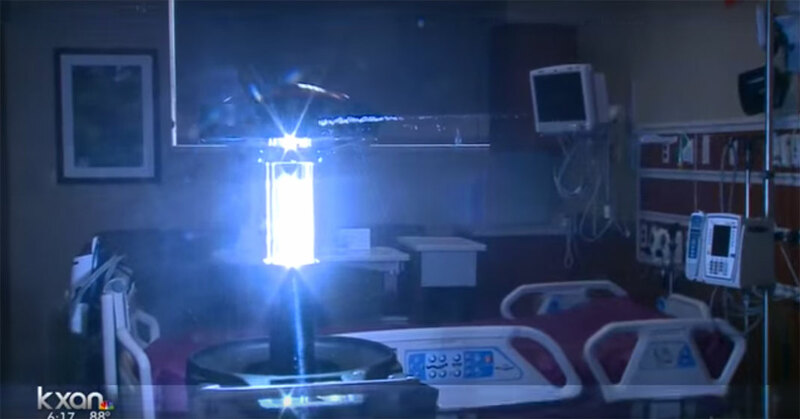 Today, the Medical Center at St. David Austin, Texas is trying something new against the germs: a “zapper” robot. 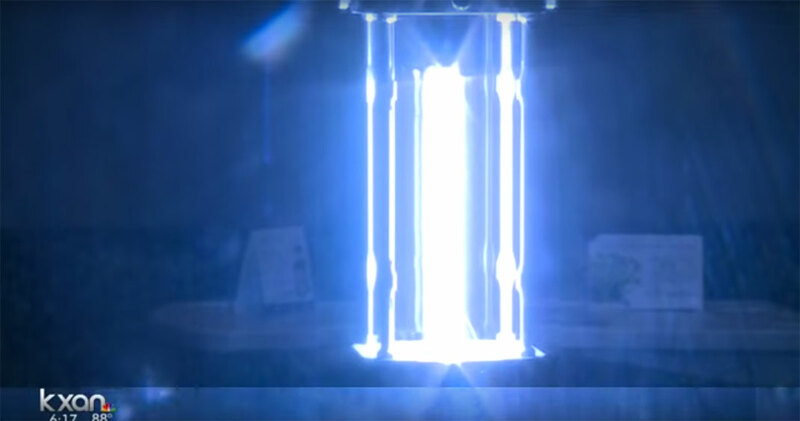 It was created by a company in San Antonio called Xenex and sends a powerful ultraviolet light to kill any germs in minutes. Rachael Sparks, technical director at Xenex, explains: “We know that rooms can harbor pathogens, any surface can. This robot allows a patient to know that his room is clean and safe. 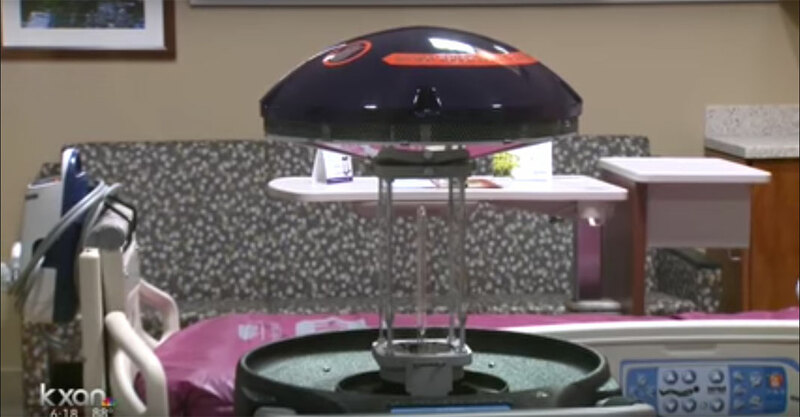 “In the market for the past few years, Xenex robot are now being used by 300 hospitals across the country, and Sparks said that it resulted in a decrease of 50% to 75% in patient infections. 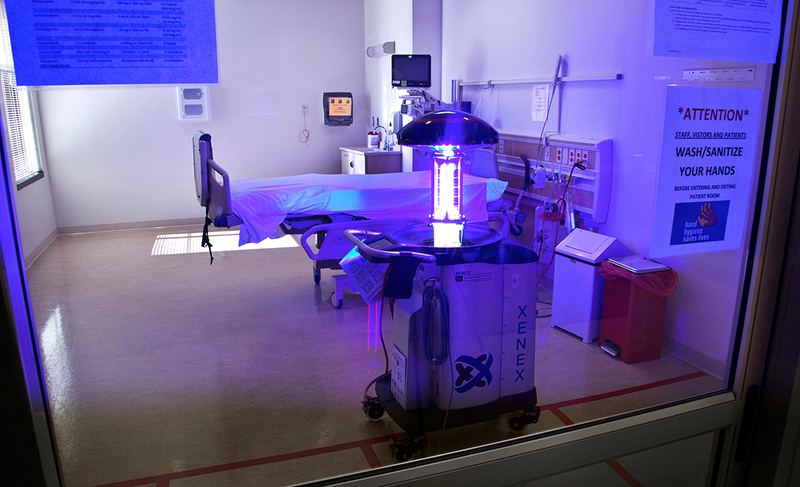 St David is equipped with 3 robots Xenex each priced at $100,000 piece, noting that as each infected patient costs between $ 15,000 and $ 25,000 to treat, the robots are quite cost-effective. 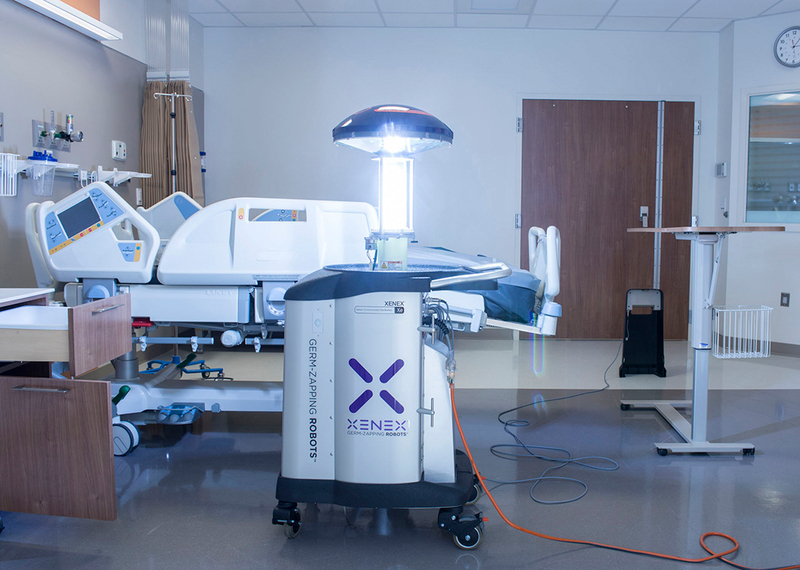 Xenex claims the robot can even kill the toughest pathogens, such as norovirus, influenza, Ebola virus, staphylococcus … And as the Disease Control Centre has estimated that nearly two million Americans were infected in hospitals this year alone, it means there is a need of many microbe ‘zapper’. Awesome! In writing, we find that this is an excellent news, although expensive for the medical world. And you? Would you like that sort of robot is used in your hospitals or do you prefer manual methods of disinfection?